For its size, the Roaring Fork Valley has its fair share of craft breweries. Local brewers from Aspen to Glenwood Springs draw inspiration for their seasonal suds from the casual Colorado lifestyle and homegrown ingredients. With a handful of breweries in the Roaring Fork Valley, you’re certain to discover a local beer that suits your particular palate. Let’s begin this trip through Roaring Fork Valley Beer Country in Aspen, and work down valley, ending in Glenwood Springs. The Aspen Brewing Company makes beer that’s quintessential Aspen. With each sip, you’re tasting all that makes this small mountain town so special. The names of the craft brewery’s beer also draw upon life in Aspen, like Independence Pass Ale, Pyramid Peak Porter, 10th Mountain Imperial Stout, and Brown Bear Ale. You can sample these beers at the Aspen Brewing Company Tap Room in downtown Aspen at 304 E. Hopkins Avenue right on Restaurant Row. As the founder of Carbondale Beer Works learned how to make beer across the pond, some of the brews on tap here are made in the English style. And in addition to serving their own small batch beer, Carbondale Beer Works offers creations from other craft breweries, plus food made with local ingredients. For certain dishes, the chef uses Carbondale Beer Works beer as a marinade, which gives you the opportunity to pair food and beer. Visit Carbondale Beer Works at 647 Main Street in downtown Carbondale for brunch, lunch, Happy Hour, and dinner. The Roaring Fork Beer Company tagline—“craft beer in a can”—says a lot about how to enjoy their beer. It’s perfect for a backyard BBQ, to share after a bike ride, or to sip while on a laidback float trip on the Roaring Fork River. Their goal is to make high-quality, small batch beer that tastes good, is easy to drink, and is devoid of uppity beer culture. Sample Roaring Fork Beer Co.’s offerings at their Carbondale tasting room and brewery at 1941 Dolores Way near the RFTA Park and Ride. Casey Brewing and Blending is a small operation in Glenwood Springs that specializes in Belgian-style sour beers. They use wild yeasts, which they claim result in a “wild beer”. Brews from Casey Brewing and Blending are carefully crafted in small batches; when you get your hands on a bottle, take a seat, take a sip, and enjoy the rush of unique, “wild” flavors. 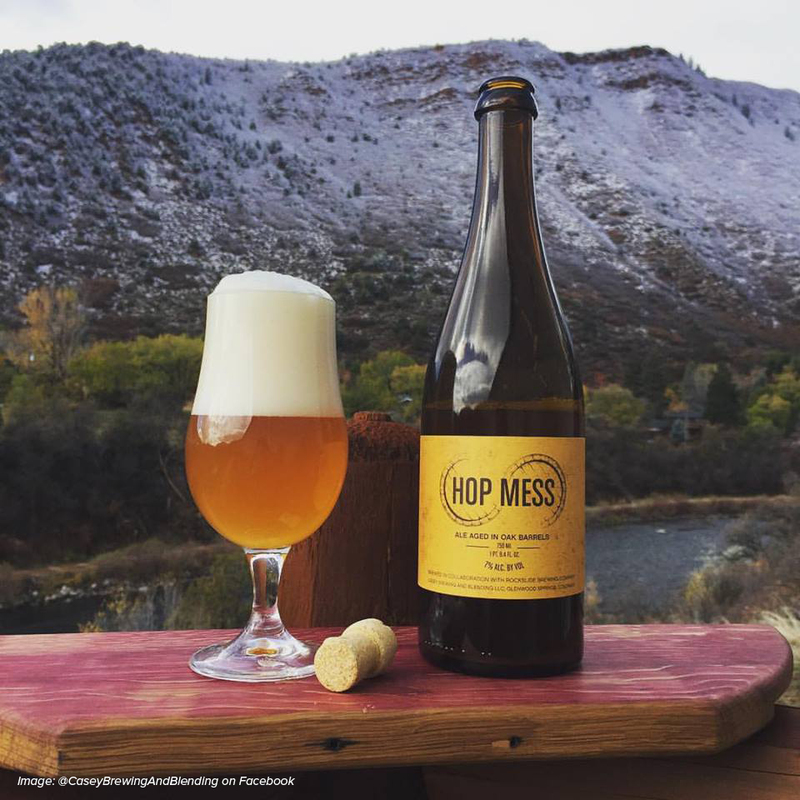 You can find beer from Casey Brewing and Blending in Glenwood Springs at Cooper Wine and Spirits and 82 Liquors; in Carbondale at Sopris Liquors; in Basalt at Four Dogs Wine and Spirits; and in Aspen at Aspen Wine and Spirits. Located next to Hotel Denver, Glenwood Canyon Brewing Co. is the oldest brewery in the Roaring Fork Valley. The founder, Ken Jones, has been happily boiling hops since 1996, and over the years, has watched the local beer scene evolve and explode. Try Glenwood Canyon Brewing Co.’s beer over lunch and dinner at their pub in Glenwood Springs at 402 7th Street. When you live in the Roaring Fork Valley, you’ll have plenty of time to sip and savor the many offerings from these local craft breweries. If you’re thinking about moving to the mountains, view our featured real estate listings, which include homes for sale in Carbondale, Redstone, and Glenwood Springs. If you have questions, contact Lynn and the team at Amore Realty. Call 970-379-4766, or fill out our contact form.